The 2012 winners of the British Schools Karting Championship (BSKC) were rewarded with an exciting visit to the legendary McLaren Technology Centre on Friday, 13th July. The Centre in Woking is where the Formula 1 cars raced by Lewis Hamilton and Jenson Button are designed and constructed. Ben Dillon, 18, Alex Jobson, 17, and Ivan May-Jones, 16, from Caterham School, won the prize after beating 617 teams from 235 schools, to take first place at the BSKC finals in April 2012. The event was the most competitive in the competitions history with the championship decided by fastest lap after Caterham Schools team tied on points with the former champions from Altrincham Grammar School. The visit, organised by BSKC, was provided courtesy of Vodafone McLaren Mercedes. During the tour of the state-of-the-art facility the boys got the chance to see many generations of McLaren cars, including the latest 2012 Formula 1 car the MP4-27 which was being prepared for this weekends German Grand Prix at Hockenhiem. 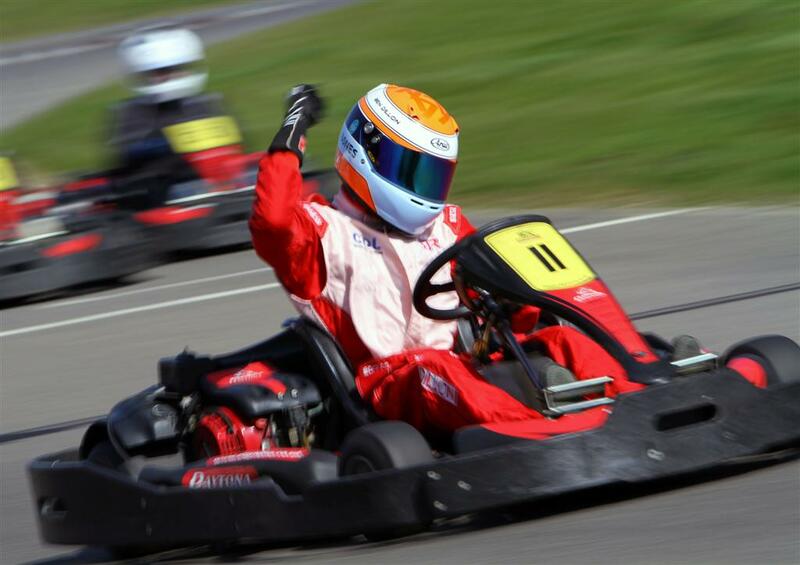 The BSKC is a national karting championship open to all school and college students, aged 13 to 18, in the UK. It is a cost effective way for schools to offer karting as teams do not need their own kart or equipment, but they simply arrive-and-drive at participating karting circuits throughout the country. Mark Turner continues: Over 1800 students took part in the competition this year. It was great to see so many young people experiencing this exhilarating sport while reaping the benefits of team work and healthy competition. Caterham School take 2012 BSKC title by less than tenth of second! Milton Keynes - A team of talented students from Surrey won the British Schools Karting Championship (BSKC) 2012 yesterday in the most competitively fought final in the competitions history. Ben Dillon, 18, Alex Jobson, 17, and Ivan May Jones, 16, who are all students at Caterham School, beat 2011 champions Altrincham Grammar into second place by less than a tenth of a second to take the championship yesterday. The teams calm approach and superb driving skills saw them match last years winners, Altrincham Grammar, with point-winning race positions of a 1st, two 2nds, a 5th and a 6th place over the six races on a crisp sunny morning at Daytona Milton Keynes on 1st April 2012. The tie-breaking final decision on the winner was made on fastest lap times, where Caterham nudged Altrincham into second place with a time of 70.198 seconds as opposed to Altrincham Grammars best time of 70.273 seconds. Over 600 teams entered the championship this year, meaning Caterham beat more than 1850 students to secure the winning teams prize of a visit to the famous McLaren Technology Centre courtesy of Vodafone McLaren Mercedes. Here they will get the chance to see where the F1 cars raced by Jenson Button and Lewis Hamilton are designed and manufactured. They will also receive one-to-one tuition in Arden Internationals state-of-the-art simulator. Second placed Altrincham Grammars team included Max McGuire (18), Alex Wilson (15) and Zubair Hoque (15). Third place was taken by Ponteland High School, with world champion karter, Matthew Graham (17) and his team mates, Christian Harrison (17) and Daniel Barber (18). Will Tew, Championship Director at the BSKC said: The skills of the teams are improving with each year and that has been demonstrated in the tightest final yet. The BSKC was started to give young people a chance to experience the thrill and excitement of motorsports, and excitement is certainly what we got in the final. What has impressed me the most is how racing has instilled a sense of responsibility in the teams taking part  Caterham is a great example of this. Alex Jobson, for instance is new to karting and yet the other team members have helped him out  so much so that they have gone on to win the final. They should be incredibly proud of themselves. So should all the teams taking part. I have never seen such a professional display from such young men and women. The BSKC is an arrive and drive karting championship that aims to bring competitive, cost effective karting into UK schools. Since it began in 2007 with just 22 teams competing, the popularity of the championship has grown and this year, there are 617 teams competing to win the title of British School Karting Champions 2012. F1 Prize for the British Schools Karting Championship  Tour of McLaren Technology Centre & Driver Simulator Tuition with Arden International. The British Schools Karting Championship is celebrating its biggest ever entry with the announcement of a truly great prize for the overall champions. Thanks to Vodafone McLaren Mercedes and Arden International Motorsport the winners of the BSKC will visit the famous McLaren Technology Centre to see where the best looking 2012 F1 car is designed and manufactured and will also receive one-to-one tuition in Ardens state-of-the-art simulator. The championship is indebted to Vodafone McLaren Mercedes and Arden International Motorsport for their support. The preliminary races of the BSKC are now complete, the huge entry of 617 teams (1850 students) have battled it out at 37 tracks around the country, from Aberdeen to Exeter, to make it through to 9 Regional Finals. 176 teams are now getting ready to race for the regional titles before the best of the best make their way to Daytona Milton Keynes on 1 April where they will compete for the coveted overall title. This years BSKC has broken all previous records. It is the biggest ever with 1850 students from 617 teams. The arrive & drive, knockout, championship introduces students aged 13-18 from schools and colleges to the excitement of competitive karting. 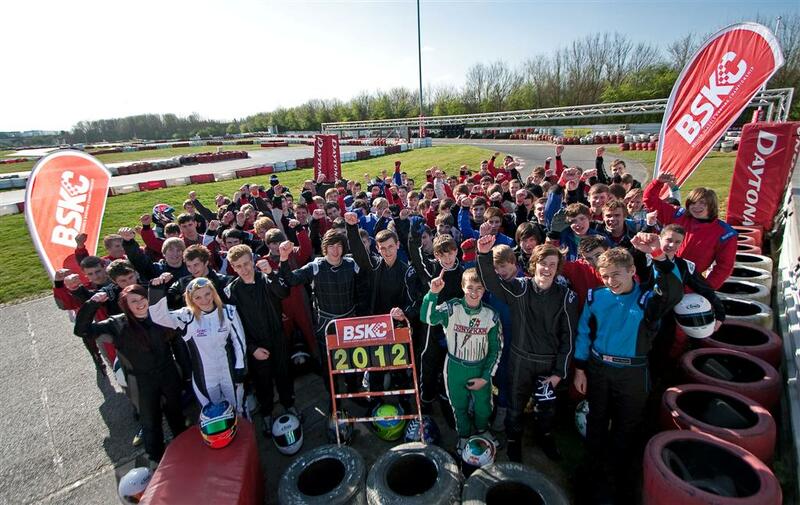 The growth in the BSKC this year has come from a huge influx of new schools keen to explore karting as a school sport. In the past the BSKC has included teams from up to 175 schools and colleges but in 2012 the championship has seen this grow to over 225. MK Racewear offers great BSKC discount. Registration for the British Schools Karting Championship 2012 is going well - there are already over 300 teams registered from over 100 schools and colleges! 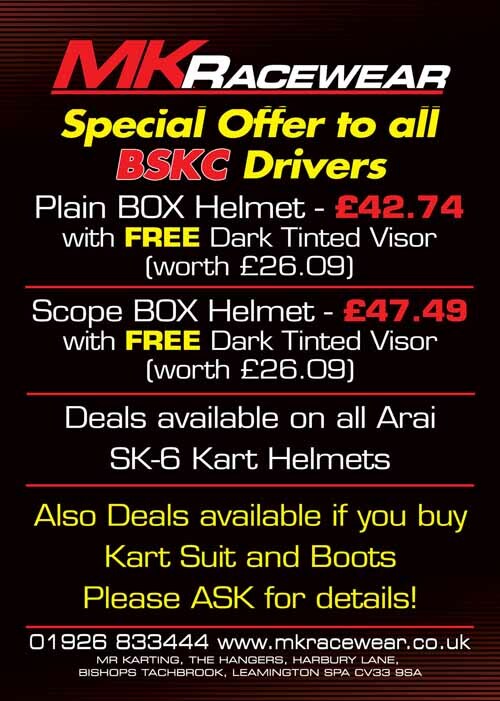 Although all of the equipment is provided within the BSKC as your teams get into their karting they may find that they want to buy there own racewear. Our long time supporter,MK racewear have kindly offered teams competing in the BSKC a discount on karting helmets and other kit. See the info below for more details. Schools across the country have very positive things to say about the BSKC.Read what teachers have to say about the BSKC. If you enjoy the BSKC then we think other schools will too. Please spread the word about the BSKC. Get the whole team to join our Facebook group and follow us on Twitter. The Chance for Schools to Uncover the Next Lewis Hamilton. From today, schools across the UK can register teams for the British Schools Karting Championship (BSKC) 2012, the only school motorsports competition of its kind in Britain. The BSKC is a nationwide team-based karting championship open to any school or college with students aged 13 to 18 who want to take part. Schools can enter multiple teams and students do not have to have any previous experience in karting or any special equipment to participate in this exciting team sport. The competition continues to grow in popularity. Last year over 450 teams participated representing schools from all over Britain. To date, over 5,000 students have taken part in the BSKC. Teachers support the competition for a number of reasons. Some take part because they have students interested in the sport, others as an alternative PE activity for those students who have no interest in football or rugby and some as part of an extended engineering or design curriculum. We also have schools and colleges that use it as a reward for pupils who maintain a good attendance or achievement record, continued Mark. Five new karting circuits have been added this year for the local heats so that most schools will not have far to travel to find their nearest centre in England, Wales, Scotland or Northern Ireland. The total cost of entry into the competition is £135 for a team of three students (£45 per driver). This includes the hire of all equipment, a practice session and entry into the local heats and regional finals if the teams make it that far. We have not raised our prices for 2012 as we want as many schools as possible to take part, said Mark. The best teams in each area will qualify for the regional finals and will then go on to the national final to be crowned as British Schools Karting Champions of 2012, if successful. The 2011 champions from Altrincham Grammar School for Boys were rewarded with a VIP tour of the Red Bull Racing factory and driver training at Arden Internationals state-of-the-art simulator. ARKS joins forces with BSKC to help bring karting into UK schools. August 2011  Strengthening the links between schools karting and MSA competition, the Association of Racing Kart Schools (ARKS) has become an official partner of the British Schools Karting Championship (BSKC). The partnership will see ARKS work closely with the BSKC to give the young drivers that are introduced to this exciting sport a clear route to further participation in kart racing. 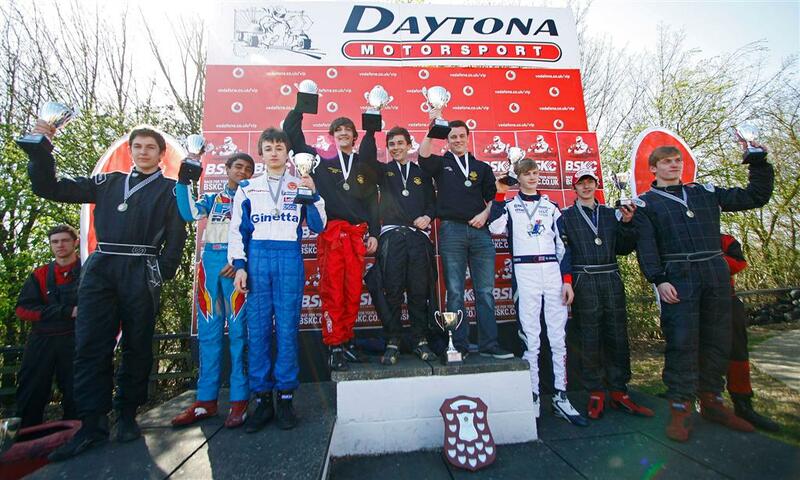 ARKS is the only kart school body recognised by the Motor Sports Association (MSA). The organisation is responsible for the novice kart driver test leading to the first competition licence, which is necessary to race in MSA karting events. The associations recognised schools offer the best place to start active involvement in motor racing, from a kart experience day, through one to one tuition for novice and expert drivers. For information on the official kart schools visit www.arks.co.uk. The BSKC is a team based arrive & drive karting championship that offers competitive, cost-effective kart racing to UK schools. The knock out tournament includes practice sessions, local races, regional finals and a national final. By using the arrive & drive format schools dont need any equipment to participate allowing teenagers of all abilities and backgrounds to take part. The Championship started in 2006 with 22 teams but has quickly grown. 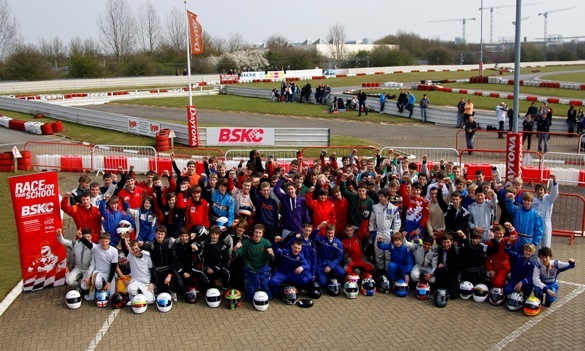 In 2011 over 1350 students competed; most of which were new to karting.